Most of the excavation of this block of houses (Region I, Insula 9) was completed in 1951-1952. Since the 1990s it has been the subject of a research project by The British School at Rome (see foot of page for links to BSR site). 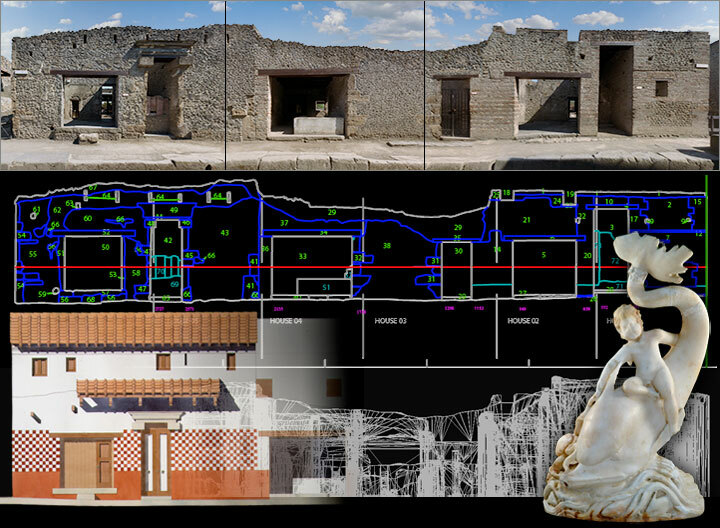 This site showcases just a few aspects of the project, including 360-degree interactive panoramas and objects, 3D modelling, reconstructions and artwork. Click on the image below for location map and plan. Copyright © 2000-2008, The British School at Rome and Brian Donovan.